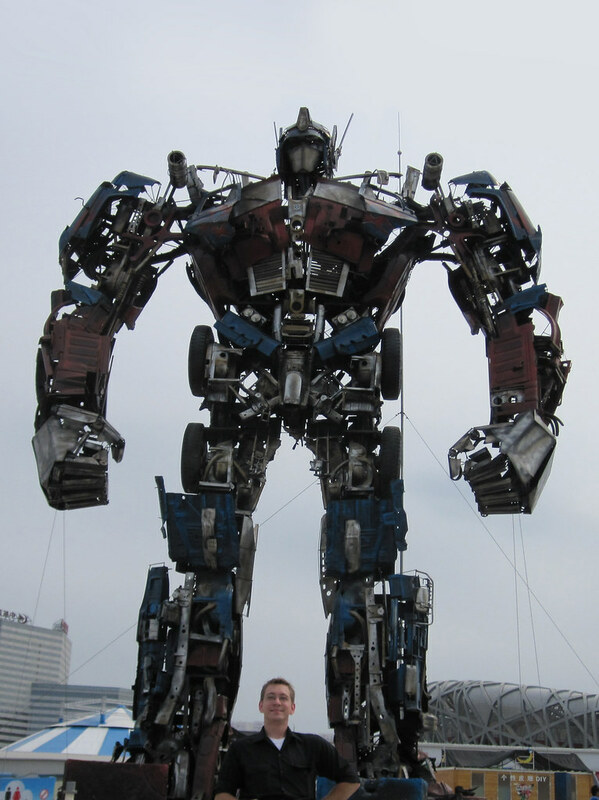 Standing roughly 33 feet tall and weighing 6 tons, this Optimus Prime replica located at Beijing, China’s Olympic Park is composed of junked car and truck parts and various bits of scrap metal, the interesting irony of this unofficial knockoff is that if Transformers really existed this is probably what they would look like. 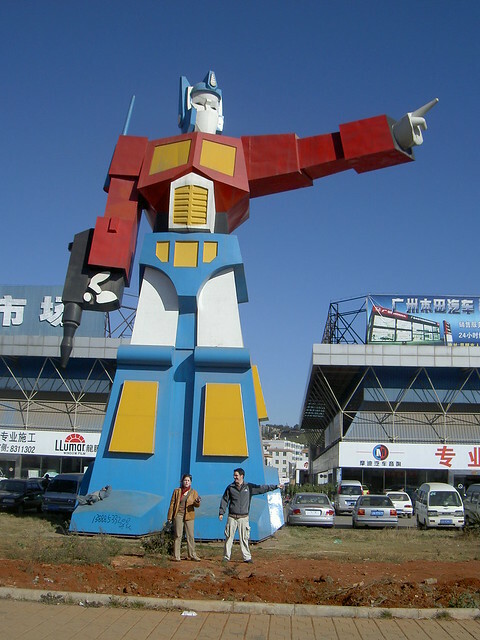 It is not the first time that China has an Optimus Prime Statue, since there is another statue in the city of Kunming, with an Optimus version from the 80s. 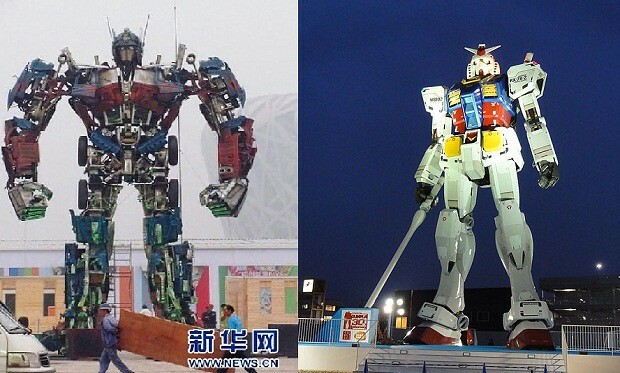 What about a fight with the Chinese Optimus Prime and the Japanese Gundam?